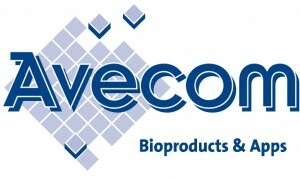 Avecom’s core business is developing Bioproducts & Apps with a focus on customers’ needs. Lab- and pilot-scale feasibility studies for wastewater treatment, digesters, soil remediation, etc. Water and the water cycle – that is, all the ways in which people use water and return it to the global water system – are essential for all life on earth. Too much water, or too little water of the right quality, can have a drastic impact on people and the environment. We need top-quality, tailored knowledge to optimally organise and manage the water cycle, and thus allow our society to provide two basic needs in people’s lives: healthy and safe drinking water, in a (water) pollution-free environment. KWR Watercycle Research Institute assists society in optimally organising and managing the water cycle by: creating knowledge through top-quality research, building bridges between science, business and society, promoting societal innovation by applying the best knowledge available. AEB (Waste Energy Company) makes an optimal contribution to a clean society by providing solutions to waste problems. AEB does this by recovering more and more raw materials for reuse and by generating the maximum amount of electricity from the remaining waste. Working with partners, it creates innovations aimed at promoting the sustainability of waste processing. AEB also researches new possibilities for the separation and recycling of raw materials from waste, and explores with its partners new production processes to generate energy from biomass. Waternet is the only water company in the Netherlands that covers the entire water cycle. From the treatment of wastewater and provision of drinking water, to cleaning and maintaining levels of surface water. Four values lie at the heart of Waternet’s work: sustainability, customer-orientation, safety and being cutting-edge. Barentz is a leading provider of ingredients for the pharmaceutical, personal care, food & nutrition, and animal nutrition industries. Barentz can deliver the complete range of proteins, from vegetable, dairy and animal sources. In this project, Barentz will primarily support the consortium in assessing the quality of the protein produced. Vechtstromen, Drents Overijsselse Delta, The Rijn and IJssel and Zuiderzeeland waterboards intend to create a virtual shared service network in the area of personnel matters, ICT, purchasing and treatment. The partnership is known as ‘Waterkracht’ and will not, for the time being, be incorporated in a separate entity. In the Power-to-Protein project Waterkracht is represented by the Vechtstromen Waterboard.